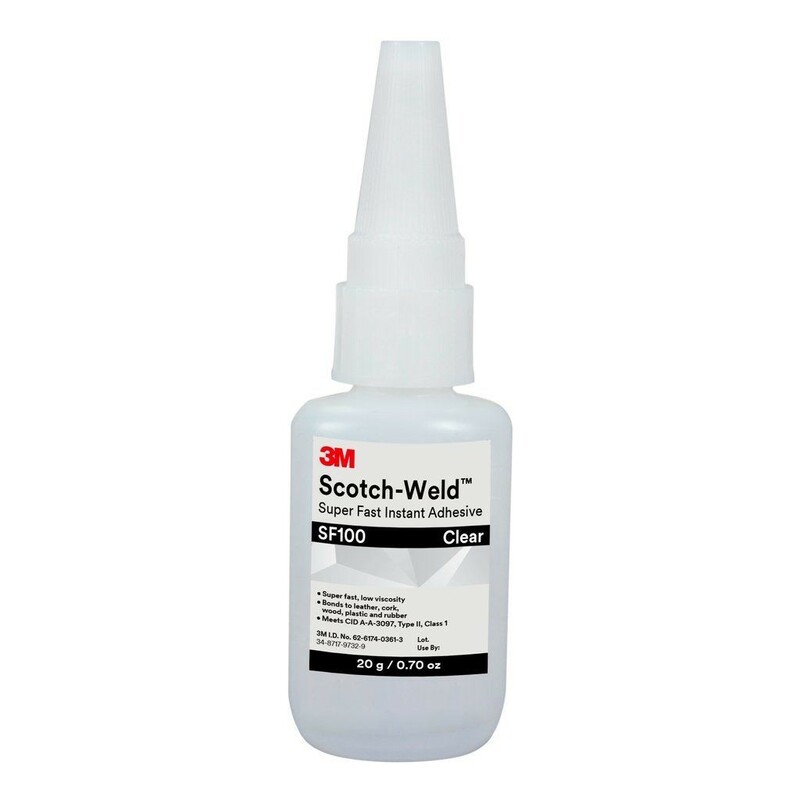 3M™ Scotch-Weld™ Super Fast Instant Adhesive SF100 is a low viscosity instant adhesive. Our SF100 instant adhesive is formulated to give exceptional performance on difficult-to-bond substrates with use of an appropriate primer. Once applied, the glue has fast handling time and cure to keep jobs moving quickly. 3M™ Scotch-Weld™ Super Fast Instant Adhesive SF100 is designed to give exceptional performance on difficult to bond plastics and rubbers, acidic and/or contaminated surfaces such as: woods, leathers, cardboard and oily surfaces. Can be used in high speed production applications.